Please note that upgrading from 9.x to version 10.x of Enterprise Console - Server supports alert grouping and multiple alert panels. Existing layouts you have previously defined within Enterprise Console will no longer apply after the upgrade. 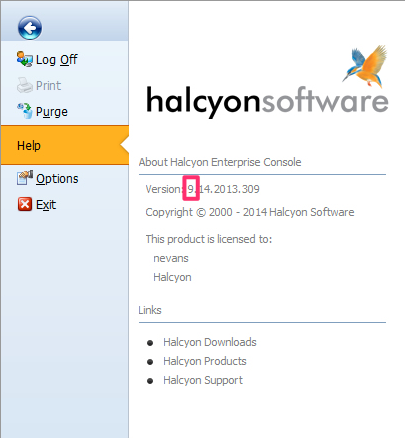 You have selected version 10.3 of Enterprise Console - Server to download and upgrade. Please check the current installed version before continuing, as it is important that you already have version 9.x or 10.x installed. This can be verified by selecting the globe icon in the Enterprise Console.